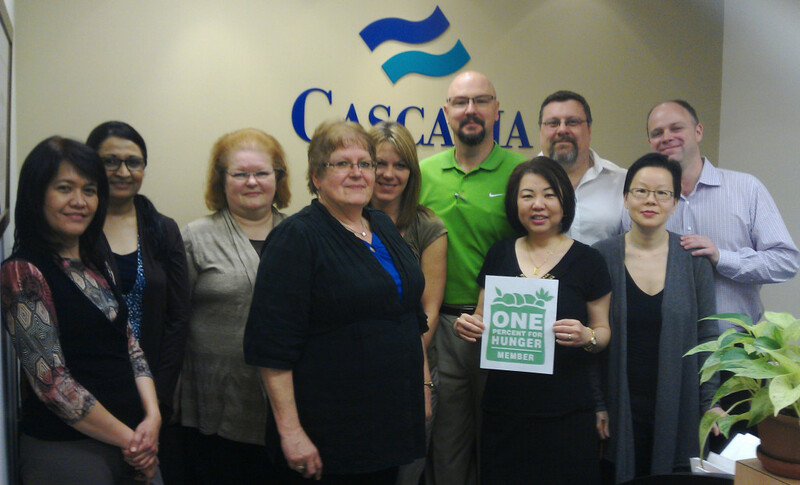 We are so pleased to welcome our newest Member company to the One Percent for Hunger family, Cascadia Container Line! I had the pleasure of popping into their offices in Burnaby today to meet the enthusiastic crew, shake some hands and snap a photo before the busy office got back to the business of providing shipping solutions for customers around the globe. It’s not hard to see why exceptional service and integrity are hallmarks of the Cascadia brand. From the deepest reaches of our hearts we thank the Cascadia team for recognizing the importance of humanitarian giving and for making it a part of each and every one of their business transactions.